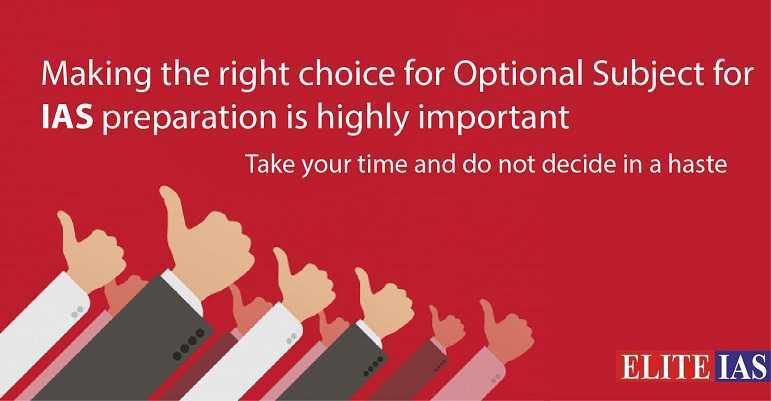 Making the right choice for Optional Subject for IAS Preparation is extremely important. As all IAS aspirants are aware, UPSC conducts the exam in three stages. These include the Prelims, Mains and Interview. Stage –II, i.e., the Mains includes two papers for the optional subject carrying 250 marks each. Thus, in total, the Optional subject allows you score well enough out of 500 marks. So, it’s obvious that the Optional subject should not be taken lightly. You should choose it carefully enough not only to get a good score, but also use it to your advantage. That is to say, if you score high in the Optional subject, your rank might go higher than your competitors when UPSC exam results are declared. Most of the times, while choosing an Optional subject, the candidates are carried away by various myths. As a result, they are not able to make the right choice. A few of these myths as well as the facts that may help the IAS candidates to choose the right subject are described below. #1. It is easier to score in an Optional subject because the topper did so! Many of the candidates are highly influenced to choose a specific Optional subject simply because a topper(s) scored well by making that choice! It is advisable to keep in mind while choosing the Optional Subject for IAS Preparation that the topper might be having his own reasons to choose the specific Optional subject. However, you are not the same person as the topper is! You have a unique identity and hence, a unique bent of mind of your own. So you have to consider your own reasons for making the best choice when it comes to choosing the Optional subject. #2.Studying a specific Optional subject would be interesting because most of your friends say so: Remember, no two individuals are exactly alike. Everybody has his own psyche. Your friends have their own preferences, likes and dislikes and so have you. What makes anybody find a subject interesting (or otherwise) depends on various reasons. And the Optional subject for the IAS Mains exam forms no exception. So, it’s understood that if your friends or acquaintances find preparing for an Optional Subject for IAS preparation an interesting exercise, it is no guarantee that you are likely to do the same. What if you toe their line, and choose the same optional subject as chosen by your friends and find that you have made not just a mistake, but a blunder. So, it is best to keep in mind that first of all, you should undertake the activity that interests you. In case, if you find the subject boring, you would not feel like studying it. As a result, your knowledge of the subject is likely to be far from being up to the mark as par the syllabus of UPSC. So, it would be best to choose the Optional subject that interests you rather than your friends and acquaintances for it is you who is going to not only face the examination, but also compete with the fellow IAS aspirants. Most of the times, the percentage of the successful candidates in a particular Optional subject is greater as compared with other subjects. However, an IAS aspirant should keep in mind that it is very likely that fewer candidates might have appeared in the specific Optional subject and if the majority of the candidates facing the exam in that specific Optional subject clears the exam successfully, the general impression received by most of the aspirants would be that it is easier to crack the exam for that specific subject. Again, it is advisable to keep all other inter-related considerations in mind before opting for a specific Optional Subject for IAS Preparation. In case, you have already studied one of the Optional subjects during graduation (or even earlier or after that), it can serve as a great advantage. However, it should be kept in mind that having studied the Optional subject even as an undergraduate or postgraduate would not help much if you had not found the subject interesting even at that time. Similarly if your own experience of gaining a good score in the subject has not been a good one as a college student (i.e., you did not find the subject a scoring one), then it’s best not to hold the academic background in much of importance while choosing the Optional Subject for IAS Preparation. In case, you think that a particular Optional Subject interests you more than the other subjects, and you are sure of yourself that studying the subject in detail, as required by the UPSC would not bore you, it is a good reason that you should go ahead with your choice of the Optional Subject for IAS Preparation. However, interest alone in the subject, is far from sufficient to help you score well and rank higher than your competitors. In case, you feel that you require proper guidance to prepare for the exam, you should go ahead seeking it. Joining an UPSC coaching institute to do so would be a good idea. Besides, the faculty at the coaching institute would be of great help to you especially if you find that the Optional Subject for IAS Preparation is almost new to you. The same would also apply in case, if you have already studied the subject previously in your student life, but have forgotten most of it. 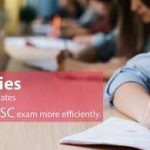 In case, you cannot join a coaching institute for some reason or another, it’s best to look for the suitable study material, getting all the books etc., required to prepare the syllabus prescribed by UPSC for the Optional Subject for IAS Preparation. However, take care that you do not raise a pile of books on your study table. You might not be able to study all of them. It makes more sense to acquire the best possible books as per the syllabus of UPSC. Study well and revise as frequently as possible. You may get the suitable study material online as well. Apart from in how much of the details UPSC prescribes the syllabus for the Optional Subject that you choose, it is advisable to keep in mind the time you are left with to prepare for the exam. Besides, if you feel that your grasp over the subject is far from being strong, you would need more of the time to study. On the other hand, if you feel confident of your knowledge of the subject or you think that you can tighten your hold over the subject in a little time, you would still need sufficient time to study well and also make repeated revisions as often as possible. Revisions are a must. Whichever subject you choose, in case, if you do not revise well, most of what you read is likely to be washed out of your memory when you finally appear in the exam. Finally, it is best not hurry with making a choice of the Optional Subject for IAS Preparation. There is an old saying that says that haste makes waste. So, it only makes sense to take your time and choose for the Optional Subject for IAS Exam Preparation only after taking everything interrelated into consideration. It is advisable to keep in mind that it is you who has to answer the question, score well and beat the competition as well. So, your choice of the subject is going to leave a considerable impact on your score when UPSC announces the results. Besides, it is you who knows the best, what interests you and what does not. Any sensible individual would consider all the required facts before choosing the best possible Optional subject for IAS preparation. No subject can be termed as the best or the worst possible optional subject for the UPSC exam. A subject that might be the best Optional subject for an IAS aspirant might turn out to be the worst one for you or vice versa. As already said earlier, all individuals are unique. Everybody has different capabilities. No two individuals are exactly alike. So it’s you who knows where your skills can be best utilized and choose the Optional Subject for IAS Preparation accordingly. Remember it is the candidate who has to answer the question paper and score well and not the subject.